The Boston Warriors AAU Basketball organization would like to announce the 2019 Spring AAU Boys Basketball Tryouts. 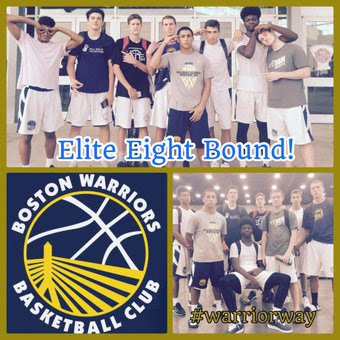 The Boston Warriors AAU Boys Basketball Program is one of the strongest REAL AAU programs in New England. The Boston Warriors are the only organization in the state of Massachusetts to win state titles in every age group from 9U to 17U. Last spring we had 14 teams qualify for the AAU National Championships with 4 teams attending AAU National Championship Tournaments. 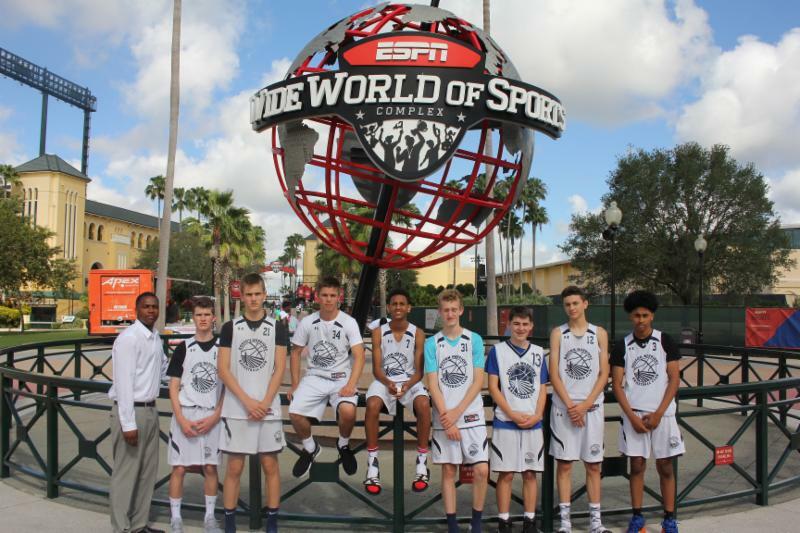 The 17U team finished 6th in the 2015 Divison 1 AAU National Championship. The graduating classes have had many players get full athletic scholarships to play basketball in college as well as many in football, baseball and 1 in Crew. The graduating classes of 2017 have 5 former players attending Harvard University. We have had 2 of the last 6 Massachusetts Gatorade Player of the Year including 2016 Eric Sellew and 2013 Tyler Gibson. Presently we have over 50 former players playing college basketball. That is the highest number of any organization in New England. While going to AAU National Championship Tournaments and playing at the collegiate level is enjoyable and rewarding, we offer players of all talent level the possible opportunity to play competitive spring basketball. We will provide very good coaching including weekly skill work with real practices. Our mission statement is to teach players how to play basketball the right way. The right way is to stress the fundamentals, team play, play hard at 100% all of the time and never get out worked! ALL TRYOUTS FOR BOTH THE Metrowest, West and North Division will take place at in Waltham. ALL tryouts will be at Waltham High School, (617 Lexington Street) unless noted below. For If you have a daughter in grades 4, 10th, 11th & 12th, please email us for when the tryouts for those grades will take place. For the spring season, in general, all teams will practice at least one a week with the option of skill session play in 5 – 7 weekend tournaments. .
We strongly suggest all players to pre-register. Early Pre-registration before 1/1/19 is only $20. All players should be at both tryouts. If you cannot make either one (or both) of the tryouts, please contact (email or call) us. Lastly, due to the expansion of the program, we are always looking for motivated, qualified coaches. If you are looking to coach in the Fall or you know someone that would be interested in coaching, please contact us (email or call) ASAP and we can discuss the possibility. If you have any further questions or concerns, please feel free to contact us at (email) Bostonwarriors@yahoo. com or (call) us at 978-460-2122. The Boston Warriors All Sports LLC, the organizers, sponsors, volunteers, and players assume no responsibility for injury to the named child above. All rights and claims are waived by the undersigned parent or guardian. The undersigned parent or guardian gives approval for the participation of their child in all activities of the Boston Warriors (and BW All Sports LLC) during the current season and assumes all the risks and hazards incidental to the conduct of the activities and transportation to and from the activities. Disclaimer: If your son does get selected for a team, the tuition fee to play on a team is non-refundable. Payment for registration is NON-Refundable. All players should be at both tryouts. If you cannot make either one (or both) of the tryouts, please email us.